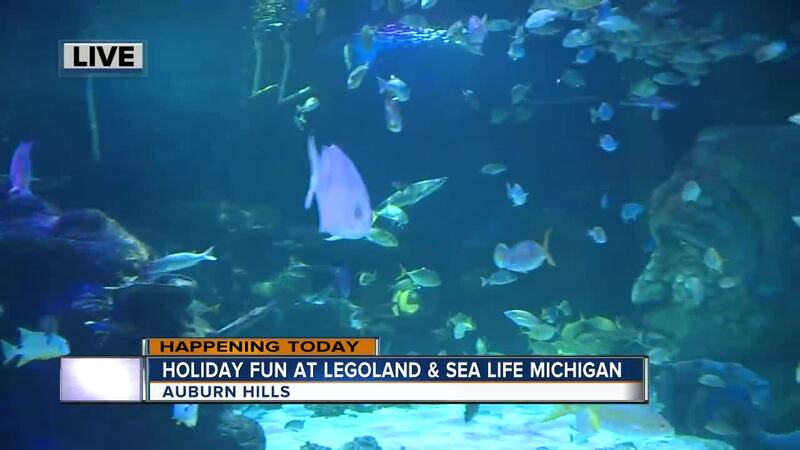 AUBURN HILLS, Mich. (WXYZ) — It’s the most wonderful time of the year! 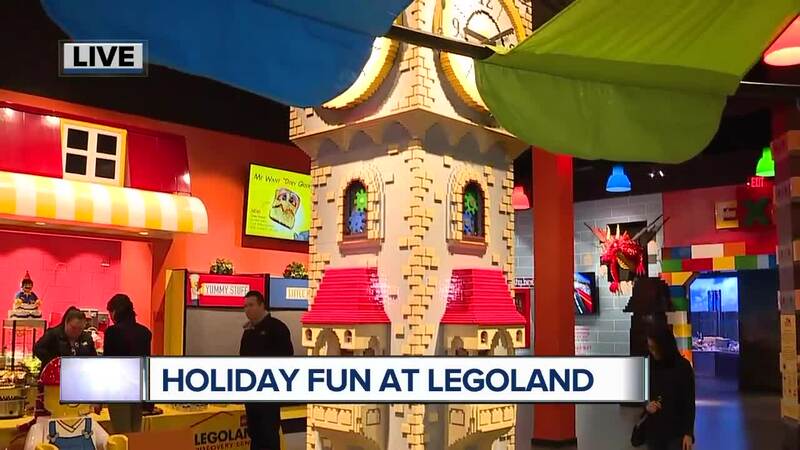 Celebrate the season with SEA LIFE Michigan Aquarium and LEGOLAND Discovery Center Michigan, where everyone is invited to experience special holiday events throughout December. o Come share your holiday cheer with all of our creatures at SEA LIFE! From Saturday, Dec. 1 through Monday, Dec. 24, the aquarium will be decorated with trees, lights, wreaths, garland, snowflakes and more! Children can participate in creating holiday cards for some of their favorite SEA LIFE creatures and deliver it to their stockings, as well as keeping a look out for “Merlin,” the Elf on a Shelf, who will be visiting in a different location every day. o Santa dives will take place on Tuesday, Dec. 11 and Tuesday, Dec. 18 at 10:30 a.m.
o Holiday story time will take place twice daily at 11:15 a.m. and 2:15 p.m. between Monday, Dec. 10 and Monday, Dec. 24.
o Visit the attraction between Saturday, Dec. 8 and Monday, Dec. 24 to experience magnificent holiday décor throughout the site, complete a special holiday build, write a letter to Santa and find all the hidden wreaths in our MINILAND scavenger hunt! o Santa MINIFIGURE will be available for photo opportunities December 8, 9, 15, 16, 22-24 at 11:30 a.m., 1:30 p.m. and 4 p.m.
o On Saturday, Dec. 15 at 9 a.m. and Sunday, December 16 at 10 a.m., guests can purchase a special event ticket to enjoy breakfast at the attraction with LEGO Santa. Tickets are $30 for regular admission and $10 for annual pass holders. Admission includes breakfast, photo opportunities with LEGO Santa and a small gift. Attendees can stay and enjoy the day at LEGOLAND post-breakfast! o On Monday, Dec. 31, celebrate ringing in 2019 with a countdown and balloon drop at noon. Approximately 1,000 balloons will be dropped from the ceiling! Guests can enjoy New Year’s Eve-inspired party favors, a LEGO ball drop, take part in the large 2019 group build and enter to win two annual passes!